Sat, Oct 12 started using a nebulizer to try and clear lungs. Start with Ipratropium Bromide .12% inhalation solution and Xopenex 1.25mg/3ml inhalation solution, takes about ten minutes with the nebulizer. This loosens and clears the mucus so the antibiotic(Gentamycin) can get into the lungs better and work faster. Followed by Gentamycin 100mg/ml mixed with 1-2 cc of sterile normal saline, takes another ten minutes in the nebulizer. this is a new treatment that some Vets are using on dogs/cats. Hospitals are also starting to use it on people with Pneumonia. so far it is keeping the Pneumonia at bay, she'd be dead by now without it. Did I tell ya'll I hate EHD??? Sorry about your doe.... But thank you for this awesome and informative post, and thank you for the pictures as well. I hope she continues to improve for you! 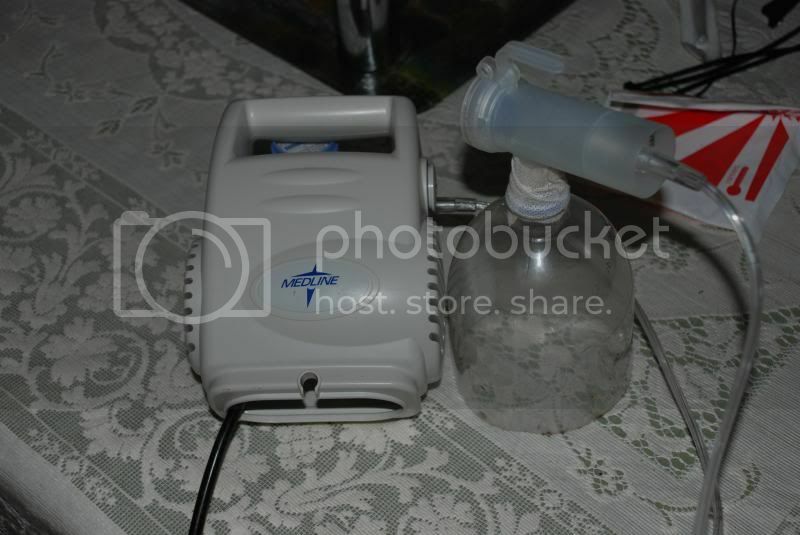 What model nebulizer do you use? Truth, the unit is a Medline I borrowed from my Vet. 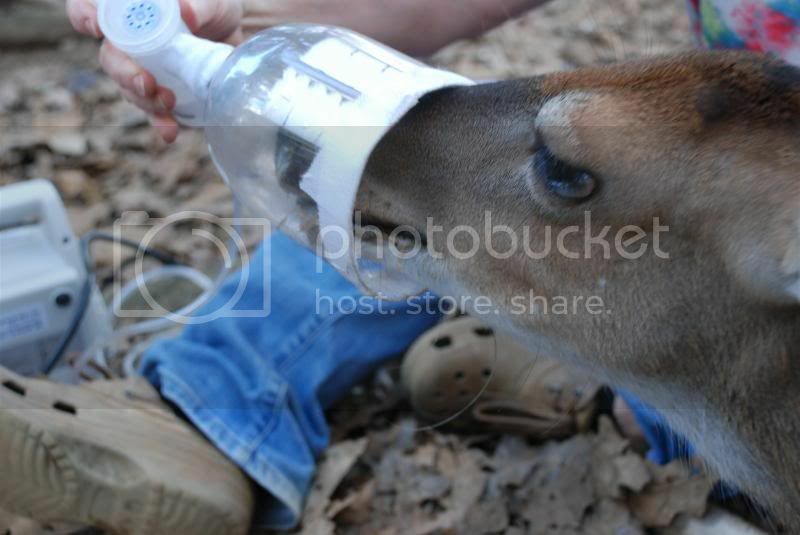 Pic shows it and the homemade "mask" from a 2 litre bottle to hold to deers nose. I figure it is just another tool to use in fighting disease/sickness. I'd use it on any deer that didn't respond to usual treatments for Pneumonia. 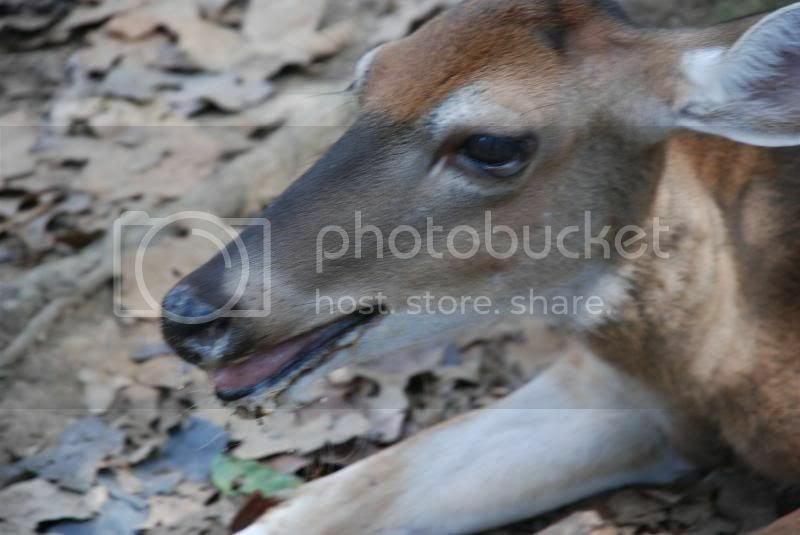 I was wondering how your doe? Was doing with the nebulizer treatment? Resflur, Resflor, what are you thoughts on that med and the neb? Remi, pneumonia is about cleared up, but she is very weak from the EHD, and I believe she has esophagus/stomach lining issues from the EHD. We'll see. I think those drugs would work but I have no experience with them. I'll check with my Vet and get his input. He did say one could use Draxxin in the same way as the Gentamycin. Remi, the EHD causes ulcers in the esophagus, stomach areas, damages the lining of the stomach. Tagamet might help. I know... I dislike them more tan Moccasins! !